The U.S. healthcare system may have its problems, but one it does not face -- unlike many other countries with government-run programs celebrated by liberals -- is widespread government rationing. It's one of the most chilling aspects of centralizing the economy: that an unelected bureaucrat can decide whether you are permitted to use a potentially life-saving medicine. Every month in the UK, hundreds of thousands of people enter their 18th month of waiting for surgery. Academics researching the problem in Canada estimated that tens of thousands of Canadian women have died because of waiting times under their system. In those and many other countries, there are few options for healthcare access outside the rationed care the government provides. And because governments jealously guard their power, even going around them to receive treatment is often prohibited. We saw that in the infuriating case of the UK’s Charlie Gard, whose parents were denied the right to bring their terminally ill baby to the US for an experimental treatment even though they had raised the necessary funds themselves. America is, unfortunately, heading down the same path. Obamacare is slowly imploding with double or even triple-digit premium increases year over year, and now news comes from Massachusetts that "Romneycare," the original Obamacare blueprint, is hoping to begin denying its citizens access to medicine in hopes of saving money. 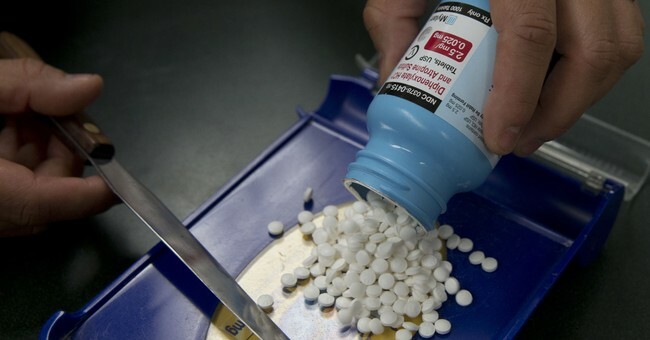 In the past several days, Massachusetts officials initiated the formal process to limit which drugs are covered under its state Medicaid program. In justifying the decision to ration medicine, state officials cited the exploding costs of their program. “Since 2010, MassHealth drug spending has risen at a compound annual growth rate of 13 percent. If growth in drug costs continues at the current trajectory, it may crowd out important spending on health care and other critical programs,” Marylou Sudders, Massachusetts secretary of Health and Human Services, wrote in a Sept. 8 letter. Although the prospect of government-controlled access to medicine is alarming, it's doubly frustrating when you consider that rationing is an inevitably, irrevocably doomed strategy to reduce costs, and that government is largely responsible for the problem in the first place. Prices provide fundamental information about market conditions. When they rise, it attracts new providers to enter a market and increase supply to meet rising demand. Unfortunately, prices in the drug market are heavily distorted by government barriers, like the high cost of bringing new drugs to the market, and the widespread use of third-party payers (Medicare, Medicaid, and private insurance) that insulates patients from the cost of drugs at the point of purchase and thus the need to shop around for the best priced alternative. There’s little wonder that drug prices are seen as high in such an environment. But price controls attack the symptoms rather than the disease and end up only exacerbating the problem and creating shortages when prices no longer reflect market reality. Rationing will, at best, temporarily slow the government's exploding health care costs. But it can be guaranteed to produce one major change: the further politicization of the health care system. Proponents justify the MassHealth change by comparing it to the behavior of private insurers. Never mind that part of the problem is over-reliance on insurance and other third-party payers, governments simply do not operate the same as for-profit entities. Decisions made through political processes inevitably become political. The result will be drug lists determined by which manufacturers hire the best lobbyists, or coverage based on what’s politically popular. Democrats are seizing on Obamacare's failures and skyrocketing premiums to demand single-payer, just as many predicted they would. It proves once again the truth of “Mitchell’s Law” that bad government policy begets more bad government policy. Rather than undoing the interference that has so distorted the drug market and left prices spiraling out of control, politicians intend to pile on. Rationing is hitting Romneycare now -- Obamacare is next.